​What an amazing group of friends, co-workers, teachers and role models Michayla has been blessed with for some many of her 18 years! In turn, Jay and I have also been blessed to know she has always been in your secure and loving hands for the thousands + hours she has spent growing up at Gotta Dance Studio - By Miss Amy! Endless appreciation and thanks for helping her talent and her person blossom into the young woman we all are blessed to know and love! I want to post about my absolute appreciation for the staff at Gotta Dance by Miss Amy. 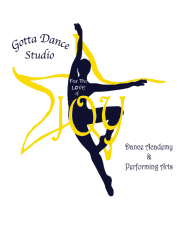 When I started my oldest daughter in dance at the age of two, I wasn't happy with the studio we chose and how they constantly yelled at the kids rather than going with their energy. Loreli did fine with it but I knew that when it was time for Evalyn to join, she would not respond to that kind of teaching. In Loreli's second year of dance we tried out Miss Amy's studio. I immediately fell in love. The atmosphere is absolutely welcoming and warm and it truly is a family. Miss Amy is real and will always laugh with a stressed out mama before using judgment. She has always brought that acknowledgment that this life is crazy but we are blessed to live it, so why not dance and laugh as much as we can? Three years ago I couldn't take Evalyn to the grocery store. I didn't know if she would attend public school and I definitely didn't know if she would ever enjoy extra curricular activities. With some AMAZING therapists and a lot of work, Evalyn has come SO far in such a short time. I could not be more thankful that my special baby, my #raeofsunshine has a safe place to learn a craft she loves so much. All Evalyn has ever talked about (aside from princesses) is being a ballerina like her big sister. Miss Amy has from day one assured me that Evalyn is welcome, they love her, they want to help her grow. As a special needs mom I both receive judgment and make myself feel guilty for a lot of things. It's taken time and a lot of soul searching for me to know the best way to help my baby and to block out any care for the opinions of others. The staff at Miss Amy's has ALWAYS given us a level of comfort, a place to allow Evie to be Evie. More often than not it's been her teacher's encouragement that kept Evalyn in class. Despite her love for dancing, her social anxiety more often gets the best of her. Amy, Gabrielle and Kristin have been amazing with helping her feel calm and safe. Last night at dress rehearsal Evalyn got really overwhelmed by the crowd in the hallway (it won't be so crowded on Saturday) and she was ready to give up. Miss Amy was amazingly understanding, showing her compassion and not forcing her on to the stage. The other staff immediately came to Evalyn's aid to comfort her and love on her and by the time Evalyn's second number came up, she felt ready to shine. Every single staff member was amazingly helpful. I was a stressed out mama trying to control three little girls, get them changed, get them where they needed to be. I know the teachers are also under immense stress and pressure during recital week but they still have my girls a smile, words of encouragement and comfort. ​I couldn't agree more Corinne Ryan watching our girls on that stage and the comfort and encouragement that comes from the teachers is beyond expectations!! ❤❤ as each dance class was on stage even if Amy was not teaching it she new the students names and was encouraging them right through their number, the way Kristen makes the ballerinas feel like ballerinas and the way she put Evie on her hip and just made her comfortable with the stage and setting and Gabe oh Miss Sashay, the patients she puts into the littles the way she just sat with Ellady and Charlotte and the other girls so they could watch and understand the stage and how recital works ❤❤❤forever greatful for Miss Amy and Gotta Dance!! !